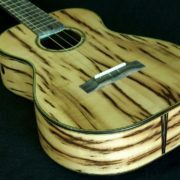 Non-GMO of course! 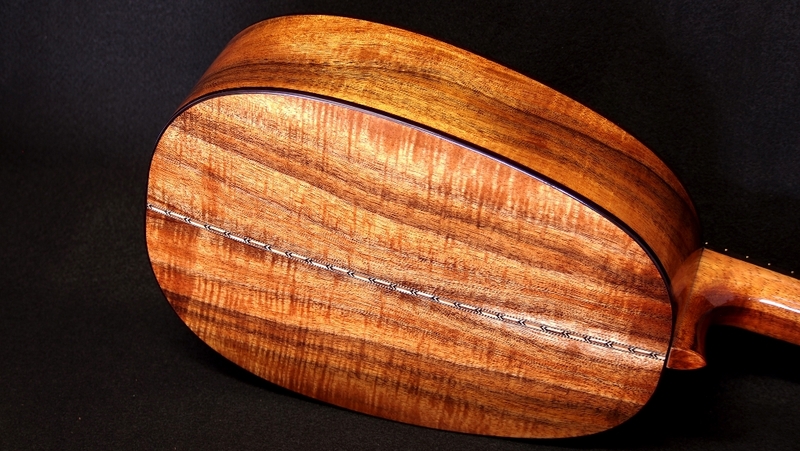 I modified my original pineapple shape to be a little more rounded and finally settled on this shape. 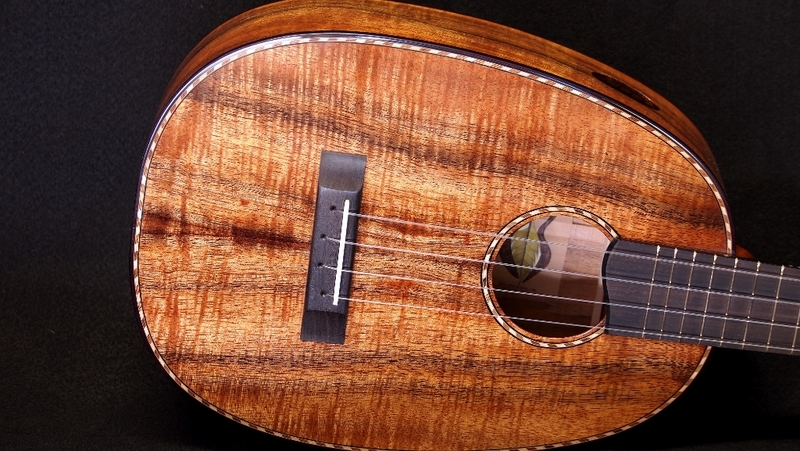 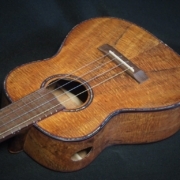 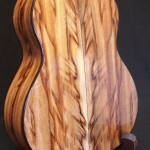 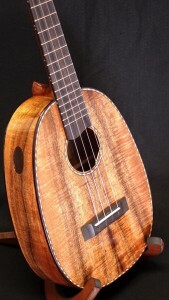 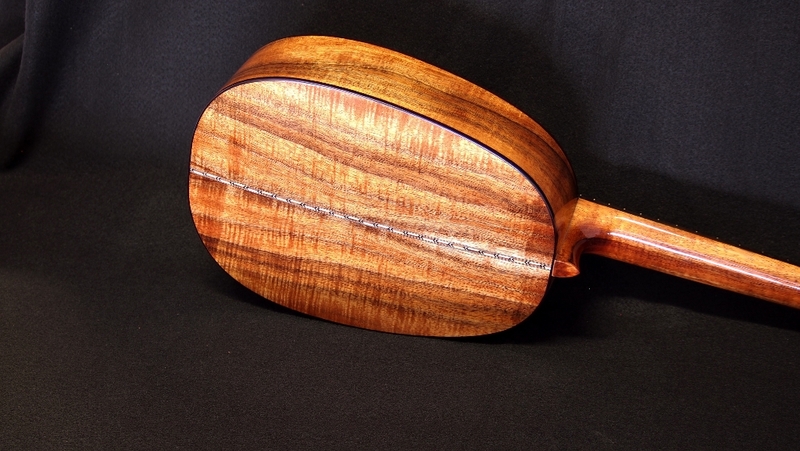 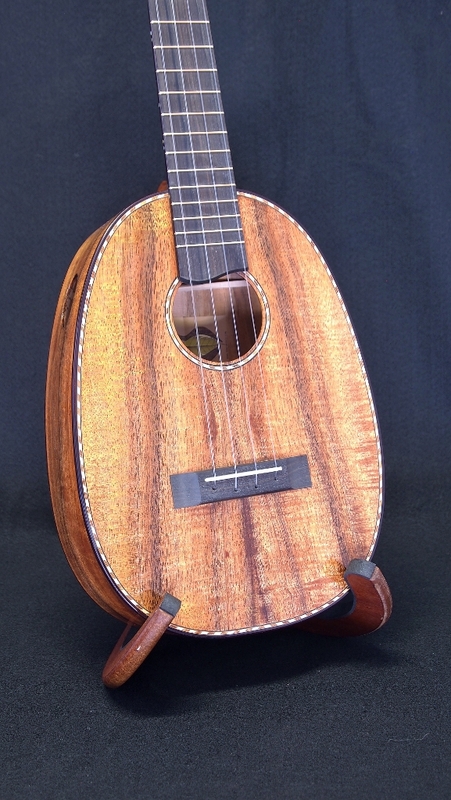 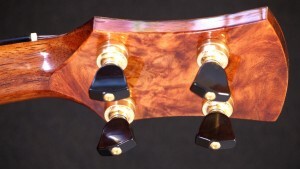 This custom tenor ukulele was ordered by Rob. He specifically requested this set of curly Hawaiian Koa and the rope purfling but left the rest up to me. 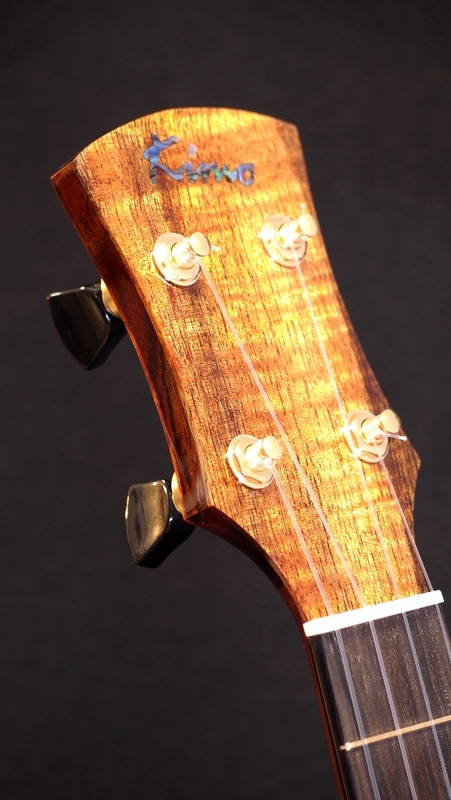 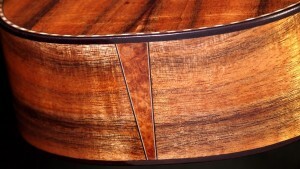 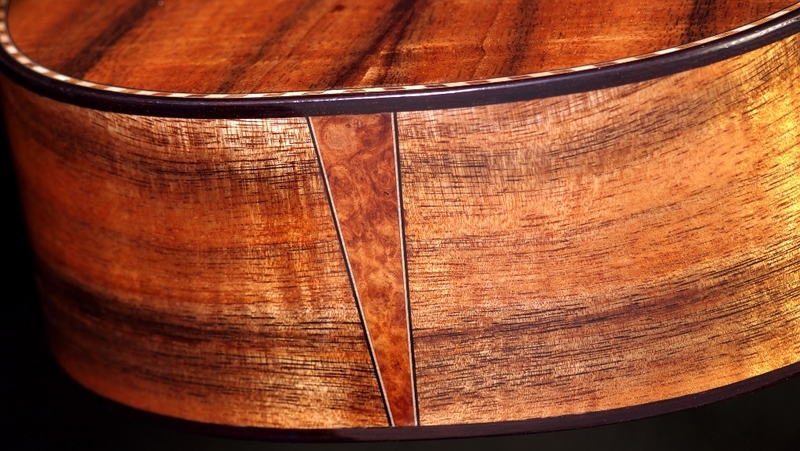 We finished with a vintage-style herringbone back-strip, ebony fret board and bridge, India rosewood binding, solid Koa neck and Vanuatu Maidou burl. 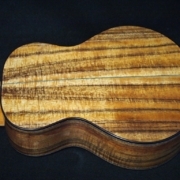 The final product will hold its own, I’m sure, with a deep mellow voice (low “G” flourocarbon strings) and lots of sustain. Mmmmm, tasty! 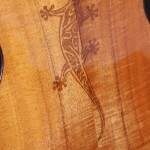 Blond Gecko Airbrushed Myrtle Wood?